Sainsbury’s supermarket has become a gold patron of the Wine & Spirit Education Trust. The news was announced at the grocer’s spring and summer tasting recently. The patronage scheme was introduced by the WSET to help keep the courses up to date with the constantly changing nature of the market. 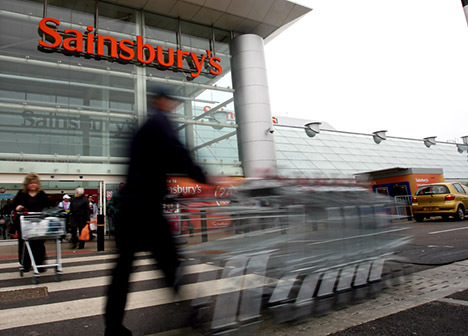 For Sainsbury’s, the new role as a patron will apparently allow the chain to “enhance the in-store and labelling initiatives” that it already has in place. Andy Phelps, Sainsbury’s category manager for beer, wine and spirits, said: “Many UK wine drinkers take a conservative approach to wine as they are unsure about how to progress from well established and familiar wines like Italian Pinot Grigio or Australian Shiraz. “We’d like to help our customers develop a broader understanding of the richness of variety to be found within our wine aisles and our Style Guide is designed to encourage them to experiment with new wines by highlighting which wines have similarities with wines they already enjoy. The WSET’s chief executive, Ian Harris, added that it was clear from the trust’s research that there was an appetite for greater wine knowledge among consumers.